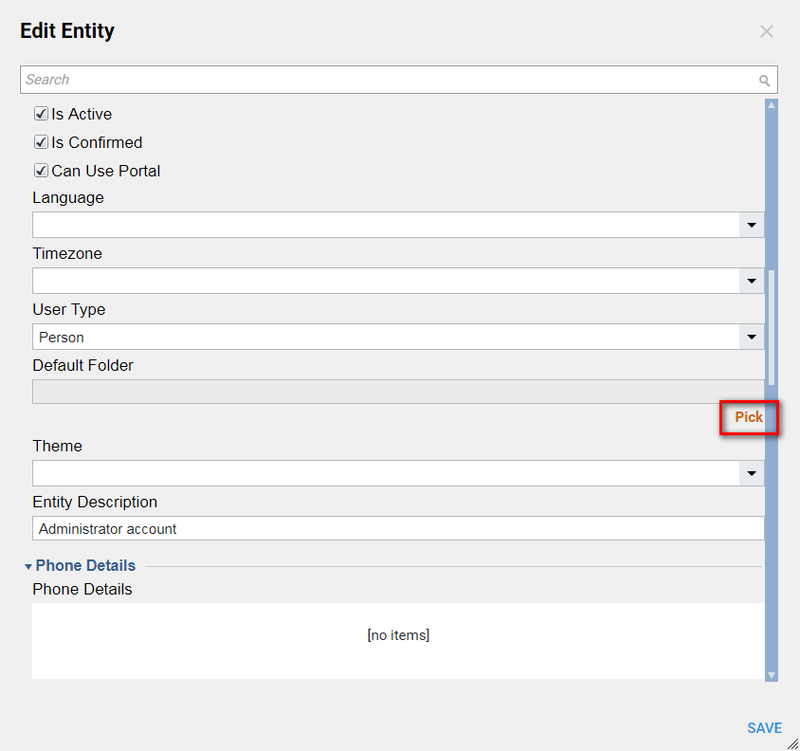 Being able to customize how the portal looks enables users to optimize the platform. 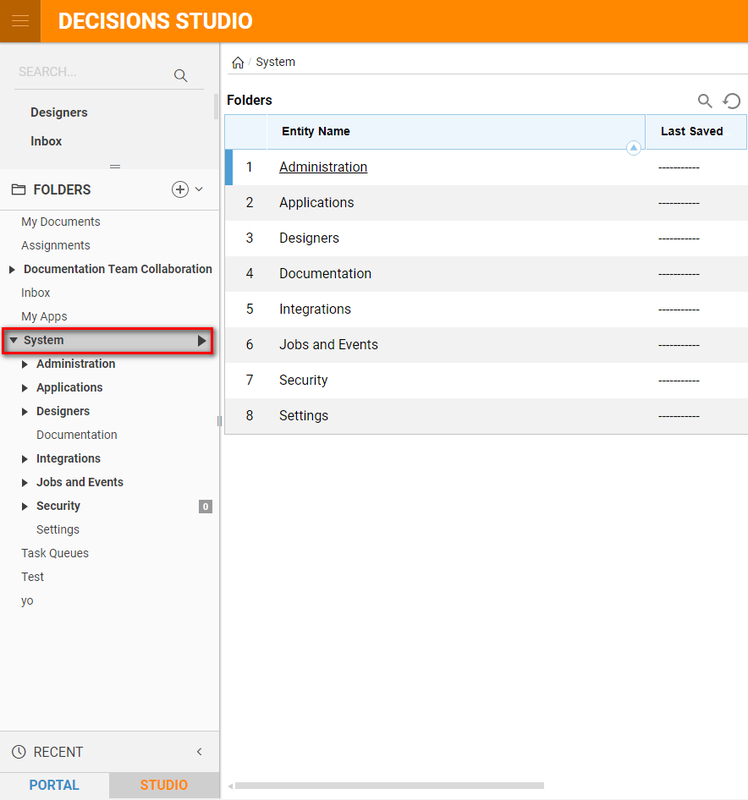 It is possible for an administrator to change the default folder for a user that appears when the user opens the Decisions portal. 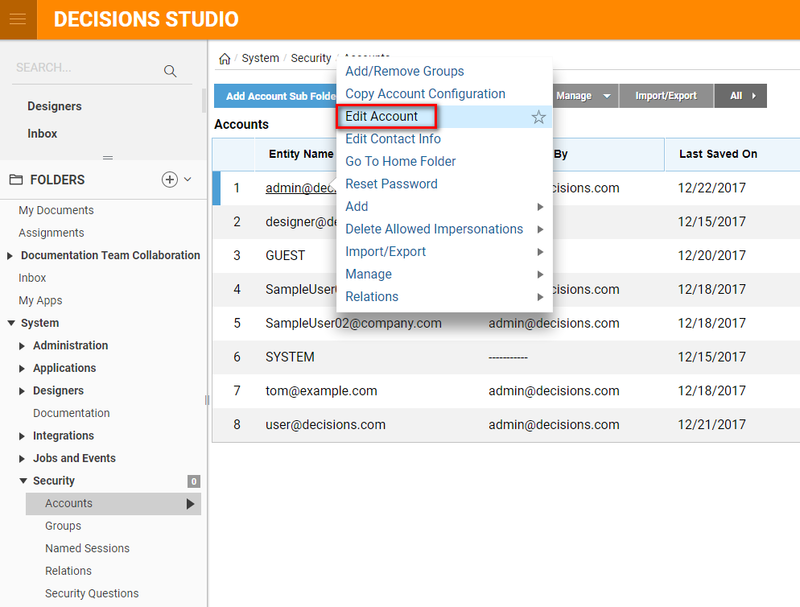 Open the Decisions Platform, logged in as an administrator. 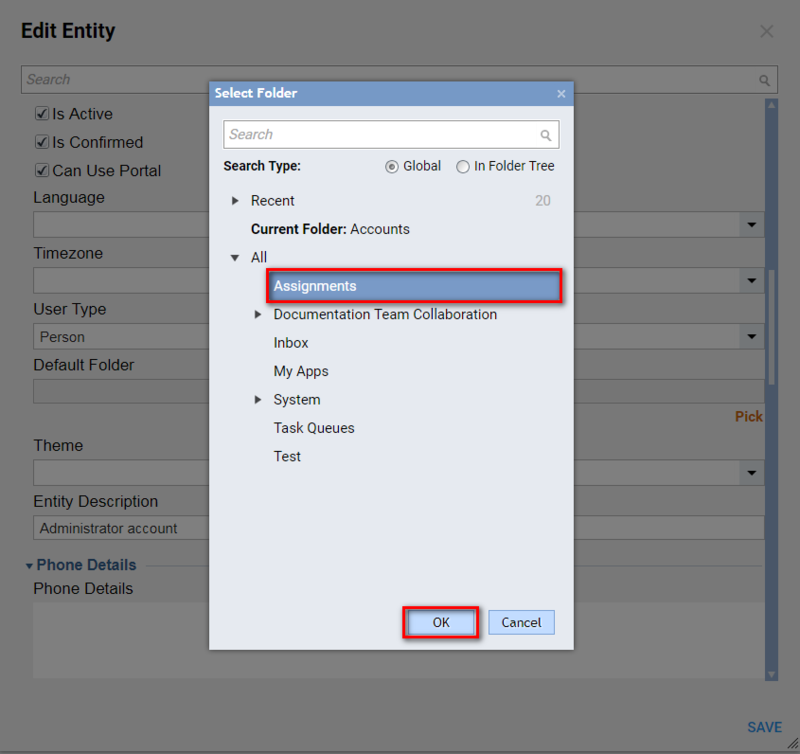 Set a default folder for the user. To begin, log into the Decisions platform and navigate to System/Security/Accounts	. Once logged in, in the left menu tree, expand the System	category. Next, expand the Security	category. Click on the Accounts	category. 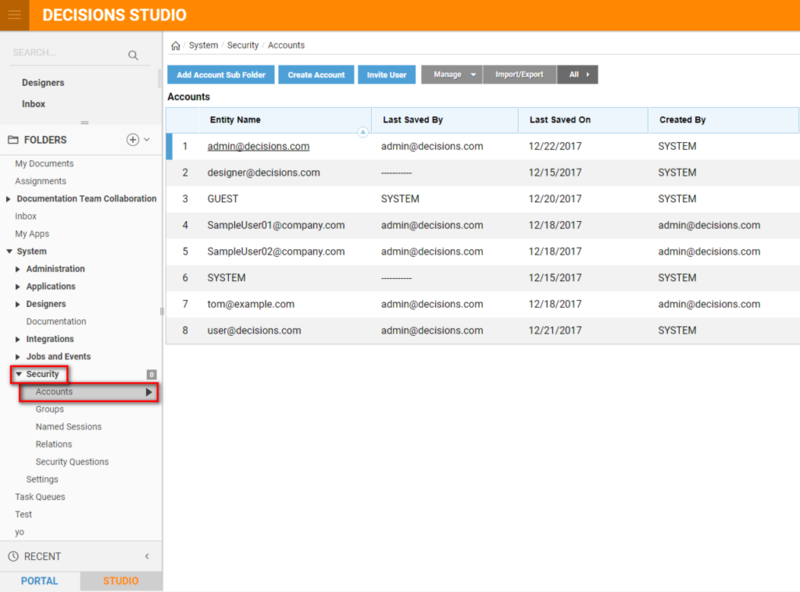 All of the accounts in the system will display. Locate the account name and right click on it. Select the Edit Account	option. In the resulting Edit Entity pop-up window, under the Personal Information	section select the Default Folder	pick hypertext link. In the resulting Select Folder pop-up window, in the Browse	tab, select the desired default folder, then select Ok	. Select SAVE	to close the Edit Entity	pop up. Now, log out of the system then log back in. Notice the system opens on the newly selected Default Folder	.